When their family’s patriarch loses a harrowing battle against a fatal disease, Suzanne (Andie MacDowell) and her middle-aged sons, Nicholas (Chris O’Dowd) and Chris (James Adomian), must navigate through their increasingly unstable lives without his support. Over the course of several years, their family must endure an emotional gauntlet of domestic hardships. They face painful break-ups, failed careers, and dangerously concealed depression. My favorite in 2017 Tribeca; as I learned the director is an enthusiast cinephile and his images are clearly influenced by Bergman and serious Woody Allen. The colors, filters and even locations are absolutely reminiscent of "Interiors" and "September". This randomicity of events around deep human feelings and connections is at the same time painful and visually stunning. The director gave the most heartfelt, genuine, enthusiastic intro to a film festival screening that I've ever seen. I pretty much decided that I would see anything he ever makes. Good thing his film was incredible. I'm really excited to see James Adomian in this, he's one of my favorites. 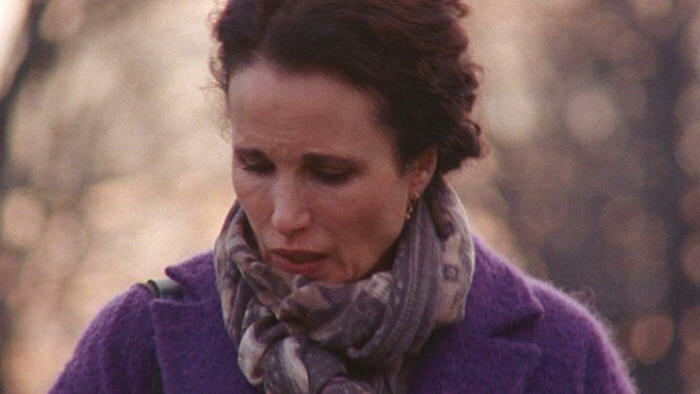 Haven't seen Andie MacDowell in a while either. But apparently there's a reason for that. What happens when you lose the foundation of your family? In the wake of a husband and father’s death, the family members he leaves behind find themselves adrift—and in danger of drifting apart—as they each try to find meaning in a world without the man who held them together. Mother Suzanne tentatively seeks companionship—but her attempts at dating only drive a wedge between her and older son Nicholas, whose own relationship with his girlfriend is disintegrating. Meanwhile, younger son Chris deals with grief in his own complicated—and increasingly worrying—way. What plays out between the trio is a beautifully observed, powerfully emotional journey that speaks to the strength of family ties.